From new beach-front properties to deepening ports to offshore drilling, the development of our coasts has dramatically increased in recent years. But with sea levels rising at increased rates and hurricanes consistently threatening populous coastal communities, coastal management has never been as vital. Twenty-five years ago, a landmark case from South Carolina was decided by the United States Supreme Court, and it changed how courts handle takings cases. The symposium will bring practicing attorneys, regulators, policy makers, and public interest advocates together with academic experts in real property, environmental, coastal, and administrative law. Over the course of two days, these experts will explore the law Lucas established and how that law has affected the management of coastal property, both nationally and in the southeast. 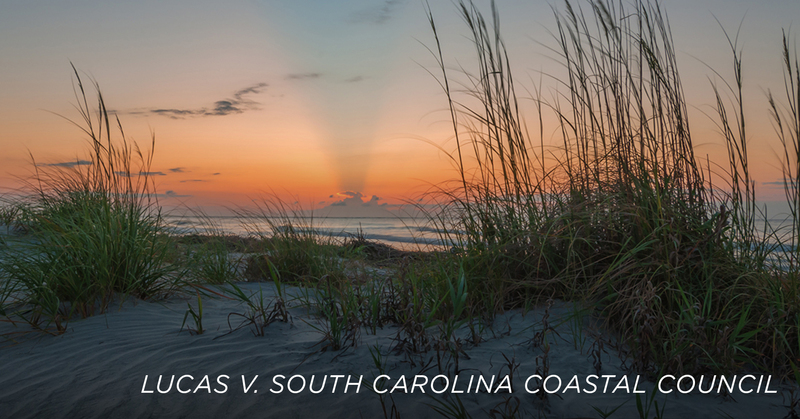 The third day of the symposium is optional and offers participants the opportunity to travel to Wild Dunes in Charleston, South Carolina, where participants will visit the property at issue in Lucas and other nearby locations that provide interesting examples of legal issues associated with coastal development. This course has been approved for up to 10 CLE credits in South Carolina, with 8 CLE credits available for the first two days of the course, and an additional 2 CLE credits available for the third day in Charleston. CLE approval for other states is pending. Program co-sponsors include the ABA Section of Environment, Energy, and Resources; the ABA Section of State and Local Government Law; the ABA Section of Litigation; and the South Carolina Bar. Register here and view the symposium schedule here. This entry was posted in Noteworthy on 20 October 2017 by thefineprint. COLUMBIA — The Indian Waters Council of the Boy Scouts of America recently conducted a major event at the new law school of the University of South Carolina, and it was a big hit for Scouts and leaders alike. On Sept. 30, 75 Boy Scouts from throughout the Midlands spent their day learning about various aspects of the law and law enforcement from distinguished statewide leaders in those fields. The event was led by a large group of law professionals who are all Eagle Scout alumni, including federal Judge Joseph F. Anderson Jr., South Carolina Attorney General Alan Wilson, former SLED Chief Robert Stewart, Lexington County Sheriff Jay Koon and state Sen. Brad Hutto. South Carolina Gov. Henry McMaster provided the opening remarks with a history of the American legal system and encouraging words for the young men. This entry was posted in Noteworthy on 18 October 2017 by thefineprint. THE STATE NEWSPAPER, 14 SEPTEMBER 2017 – In a recent speech this past week at the dedication of the new University of South Carolina School of Law in Columbia, South Carolina, Supreme Court Justice Samuel Alito may have expressed a rather unpopular opinion. After comparing law schools to mosquito breeding pools, the jurist said that he believed it would be good for society if more people thought about issues like lawyers do. Justice Alito explained that thinking like a lawyer involves looking at all sides of an issue in order to arrive at the truth. He believes that lawyers are good at understanding when they are wrong, and coming to terms with changing their positions based on logic and reason. He believes that this sentiment is dire in our current society due to the divisions that currently exist over certain issues. This entry was posted in Noteworthy on 10 October 2017 by thefineprint. The University of South Carolina School of Law welcomed the future President of the Supreme Court of the United Kingdom to campus on Sept. 18 for a three-day visit. The Right Honourable Baroness Brenda Hale of Richmond DBE, the current deputy president of that court, was appointed in July 2017 as its first female president, a position she will assume in October. The position is the equivalent to Chief Justice of the United States Supreme Court. In addition, Lady Hale is also the treasurer of Gray’s Inn, one of England’s four Inns of Court. South Carolina Law’s partnership with Gray’s Inn spans 13 years, and it is the only law school in the United States to have a program in which American law students study inside a London Inn of Court. Each year, law professor Martin McWilliams accompanies students to London for a Maymester course at Gray’s Inn, allowing students and faculty rare access into one of the oldest legal systems in the world. “Our partnership with Gray’s Inn is unprecedented for American law schools, and has given our students a unique experience, as well as extended their legal education in a way we could not teach them at home,” says McWilliams. Lady Hale’s visit comes on the heels of another prominent justice’s visit to the School of Law. Just days before Lady Hale arrived in Columbia, the Honorable Samuel A. Alito, associate justice of the United States Supreme Court, delivered the keynote address at the dedication ceremony for its new building. This entry was posted in Faculty in the news, Noteworthy on 6 October 2017 by thefineprint. Speaking at the dedication of the new $80 million University of South Carolina School of Law, Alito told some 400 lawyers, alumni, politicians, university and other officials that even though some people might liken a school that turns out lawyers to “a new marsh for the breeding of mosquitoes,” lawyers’ values are vital to democracy. This entry was posted in Noteworthy on 5 October 2017 by thefineprint. The University of South Carolina School of Law congratulates third-year law students Creasie Parrott and second-year student Kyle Watson for winning the ninth annual Judge J. Lyles Glenn Jr. and Terrell L. Glenn Sr. Mock Trial Competition on Sept. 22. The team was presented with the D. Reece Williams III Award, given by the American Board of Trial Advocates. The case, The State of South Carolina v. Sydney Carter, involved an allegation of murder. Parrott and Watson argued the defense of Carter against competitors second-year students Megan Rudd and Olivia Hassler. The final round of the competition was presided over by the Honorable Joseph F. Anderson Jr., a Senior U.S. District Judge for the District of South Carolina. Paula Birch Billingsley ’15 says she knew her law degree would help her give back to the place she once called home. Along the state’s “corridor of shame” is Allendale County, less than 100 miles from Columbia, but a world away when it comes to resources. The corridor of shame refers to the I-95 corridor of South Carolina, where some of the nation’s poorest counties lie. A state of emergency has been declared over their education system, and rates of violent crimes, teen pregnancy and unemployment climb. It’s a community known for its negative attention. But where others see loss, Paula Birch Billingsley sees hope. 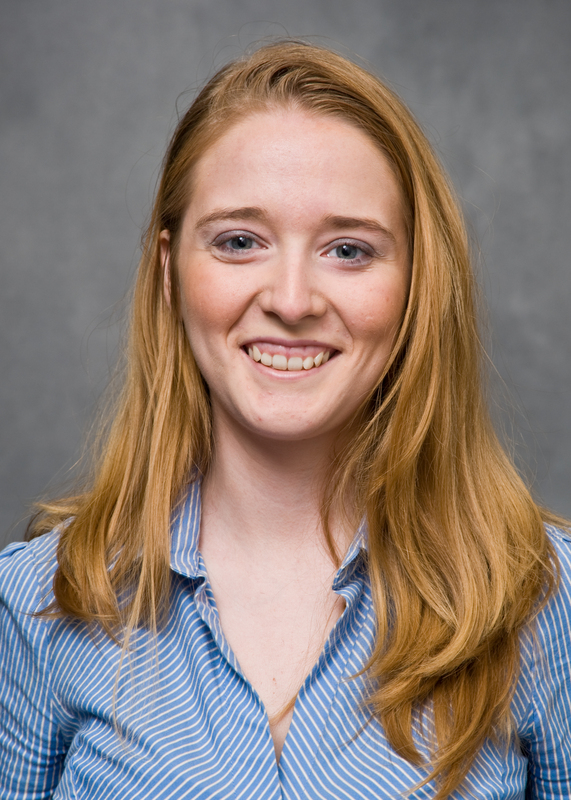 The 2015 alumna says it was during her time at South Carolina Law, learning from professors like Derek Black and Libba Patterson, says that her eyes and heart were opened to what a law degree could mean for the place she once called home. 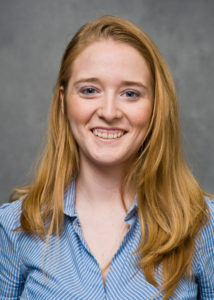 She returned to Allendale with goals to advocate for the school system specifically. She found a group of like-minded people and the Allendale Fairfax Education Foundation was formed. She says they operate like a “booster club for academics,” raising money for everything from school supplies and community events to a mentoring program and chess team. But she wanted to do more. She turned to Pro Bono Program director Pam Robinson for help on their latest project: Change for Change. This entry was posted in Alumni News, Noteworthy on 4 October 2017 by thefineprint. This entry was posted in Noteworthy on 29 September 2017 by thefineprint. One piece of history that links the past and the present is the bench in the Judge Karen J. Williams Courtroom. While its design is seamless with the rest of the room, and its use proper, it has a story all its own that dates back to the 1870s. After the Civil War ended, South Carolina had a new state constitution and a new high court. The legislature commissioned a bench for South Carolina’s first Supreme Court, and that bench was in use for almost a century until, in 1971, the court moved into its own building. The bench was left behind and moved into the basement of the South Carolina State House, where it was all but forgotten, gathering dust and providing shelter for creatures from time to time. Then, in 1992, when the State House underwent major renovations, it was rediscovered. It was offered to the School of Law just as talks of a new building were beginning. The law school took the bench in hopes of one day having a suitable place for this piece of history. Professor W. Lewis Burke and Pam Robinson, director of the Pro Bono Program, were instrumental in helping the bench find a new home at the law school. “We were kind of shocked and confused why it was in the basement of the State House. But we said, ‘Oh, we have to save that,’” says Robinson. For the next 25 years the bench sat in the lobby of the School of Law’s old building on Main Street. There, it was used as a study desk, a bake sale table, and even a food and drink station during special events, among other things. “The lobby wasn’t exactly the most noble place for [the bench]. But it kept it and preserved it until we were ready to use it,” says Rob Wilcox, dean of the law school. On certain occasions, such as when the U.S. Court of Appeals for the Fourth Circuit held hearings at the School of Law, it was moved into the auditorium. But moving the 100-year-old, solid pine bench wasn’t an easy task. Today, the bench finally sits in its permanent place in a room befitting its stature. It was an accomplishment Burke and Robinson say they are proud of. The 300-seat courtroom is one of the crown jewels of the new building and was built as a working courtroom, and will play host to actual jury trials and appellate hearings, as well as mock trial and moot court competitions, symposia, and other special events. “I hope students will learn the history of the bench and know that we value our books and benches, as well as our laws,” says Burke. “It’s fabulous to see that a piece of pine furniture that’s been around for roughly 150 years can have such an important role in a school that will be here for the next 150 years,” says Dean Wilcox. This entry was posted in Noteworthy on 28 September 2017 by thefineprint. Graduates of the law class of 1982 reconnected at their 35th law reunion. 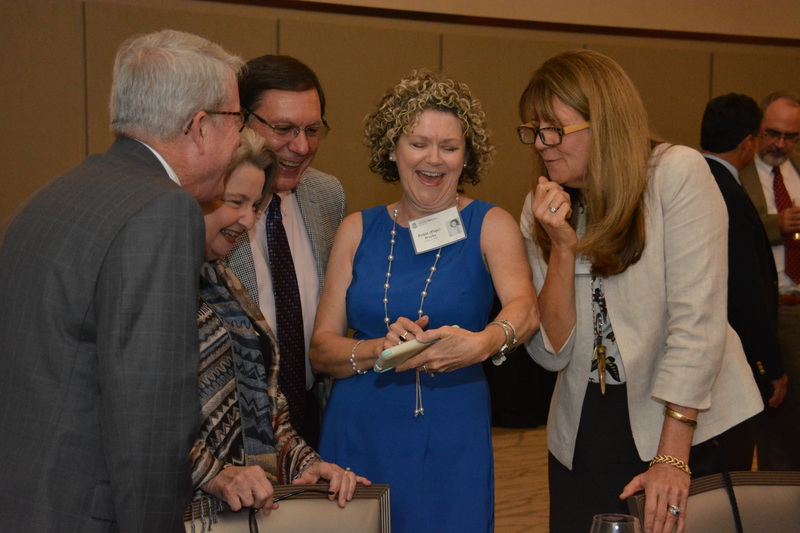 The University of South Carolina School of Law’s 150th anniversary and dedication ceremony coincided with annual law class reunion activities. On the weekend of Sept. 15-17, 10 law school classes, dating back to 1967, reconnected with their classmates. The weekend included an invitation to the School of Law’s building dedication, as well as a CLE given by Dean Rob Wilcox. On Friday night, each class enjoyed their own private party around Columbia, and on Saturday, alumni were invited to a tailgate party before the South Carolina vs. Kentucky game. This year’s reunions celebrated the classes of 1967, 1972, 1977, 1982, 1987, 1992, 1997, 2002, 2007, and 2012. This entry was posted in Alumni News, Noteworthy on 20 September 2017 by thefineprint.